In today's competitive market place, there is a need for business organisations to ensure continual improvement. Manufacturing companies experience growing pressure to improve quality, increase productivity, and reduce cost with limited resources. Service organisations need to reduce response time, eliminate errors, and improve customer satisfaction. Though system certifications such as ISO9001:2008 could bring in some degree of discipline and quality improvement in organisations, it is not sufficient to address the real challenges. We need to take a closer look at the manufacturing and service processes and deploy suitable techniques to enhance process capability. While 'percentage defects' is a thing of the past, achieving PPM (parts per million) defect levels is the challenge before today's managers. Now comes the question of HOW ? It is true that there are many approaches suggested by various quality experts. Corporations all over the world have been experimenting with one approach after the other, with little or no success. In this context, choosing a feasible path has become very important. Many top management personnel are not aware that relatively simple techniques like SPC and EPC can be put to use to achieve quantum jumps in quality improvement and cost reduction. Our experience shows that a step-by-step approach, based on statistical data analysis (SPC / EPC / Six Sigma) and managerial / technical corrective actions can deliver the desired results. Let us try to understand what is SPC, EPC, and Six Sigma all about. SPC is a time-tested and effective control scheme used for process capability analysis and process monitoring. 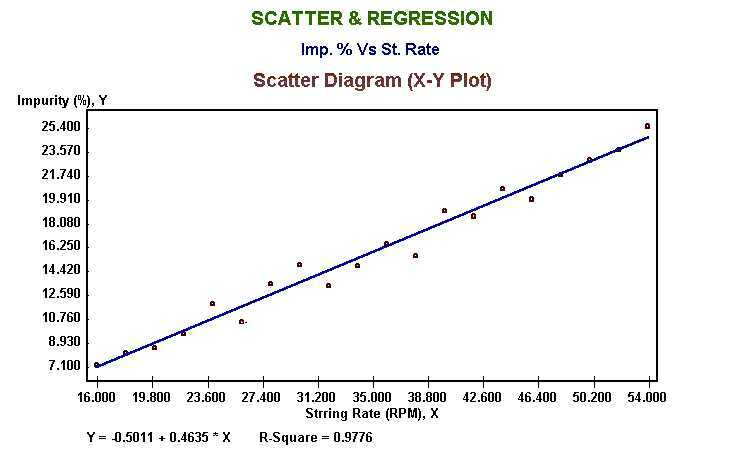 SPC techniques consists mainly of Pareto Analysis, Scatter Diagram and Regression Analysis, and Statistical Control Charts. It is perhaps the most useful tool in the early stages of quality improvement initiatives. It can be deployed to identify the vital few and screen out trivial many. Statistical Process Control charts (or simply, SPC charts) are used for monitoring the process performance and process variations. These charts may be constructed for monitoring of process parameter or product characteristic. Control chart has a centre line depicting the average process performance. It has two control lines, namely, Lower Control Limit (LCL) and Upper Control Limit (UCL). The control limits are calculated on the basis of natural (short- term) variations in the process. When a plotted point falls within the control limits, no action needs to be taken. But, any point falling outside the control limits requires further investigation / process adjustment. Control charts can be constructed for both the variable (say, diameter) and attribute (say, surface defects) data. The most commonly used variable control charts are the X-Moving Range chart, Xbar-Range chart, and Xbar-Sigma chart. Widely used attribute control charts are the p-chart, np-chart, c-chart and u-chart.